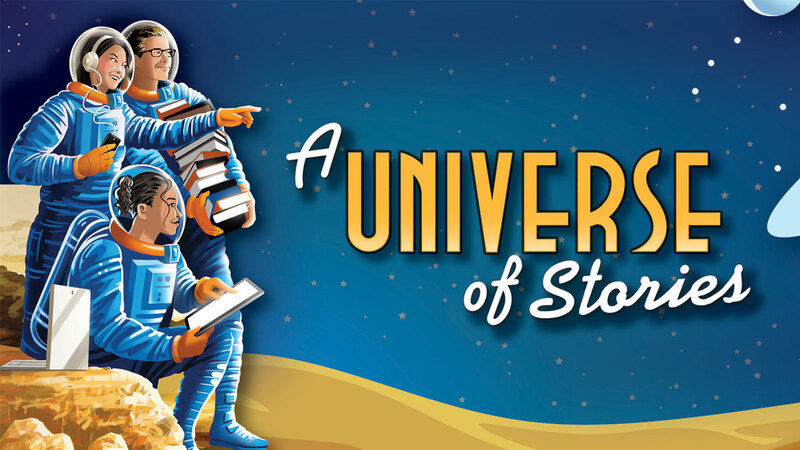 This summer's nationwide library reading program, "A Universe of Stories," coincides with NASA's 60th anniversary, and the 50th anniversary of the Apollo 11 Moon landing. The Warren Astronomical Society (Michigan) has received multiple requests from libraries for summer speakers, astronomy programs and display case setups - and they’re still coming in! I've reached out to other astronomy clubs and volunteer NASA/JPL Solar System Ambassadors in southeastern Michigan for help covering all the outreach requests. If you are looking for speakers for this summer, Solar System Ambassadors in your state, and local astronomy clubs are a great resource. You can find many clubs and events listed on the NASA Night Sky Network site. Venus and Saturn continue to spread apart this week, and the waning crescent Moon appears very near several planets in the southeastern predawn sky. Conjunctions in the south-southeastern predawn sky from Feb. 26-Mar. 2, 2019. Credit: Stellarium / Bob Trembley. Mercury can be seen very low in the western sky at dusk this week. Mercury low in the western sky at dusk on Feb. 26th. Credit: Stellarium / Bob Trembley. Mars and Uranus are high in the west-southwestern sky before midnight; Mars will be slowly moving away from Uranus all month. Mars and Uranus high in the west-southwestern sky before midnight on Feb. 26th. Credit: Stellarium / Bob Trembley. Orion and Taurus can be seen setting in the west shortly after midnight this week. Orion and Taurus set in the west shortly after midnight this week. Credit: Stellarium / Bob Trembley. 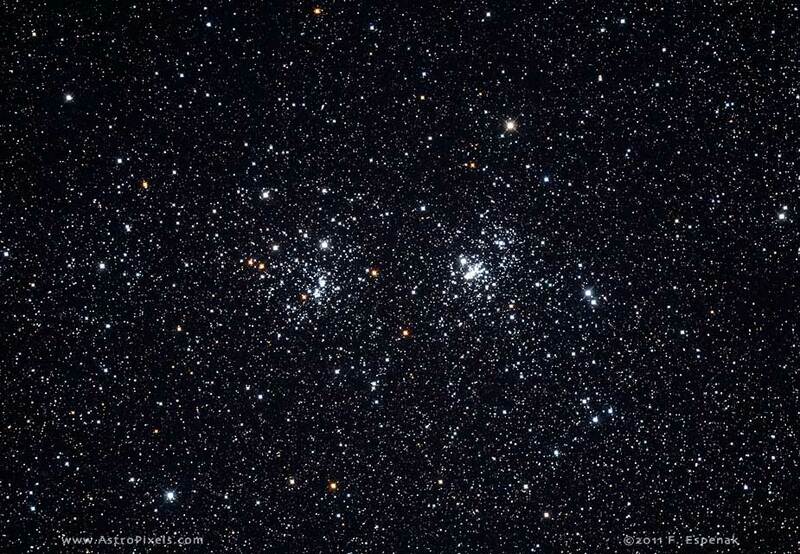 Location of M44 - The Beehive Cluster. Credit: Stellarium / Bob Trembley. The Moon will be at third-quarter on Feb. 26th - rising around midnight, and visible to the south after sunrise. The rest of the week, the Moon will be a waning crescent - low to the east before sunrise. My wife and I caught a beautiful view of the third-quarter Moon this morning out our living room window. The Moon from Feb. 19-25, 2019. Visualizations by Ernie Wright / NASA's Scientific Visualization Studio. The Sun has been spot-free for 26 days - almost a month! Large coronal holes remain open at both poles, and an irregularly shaped coronal hole along the equator has solar wind pouring out of it. 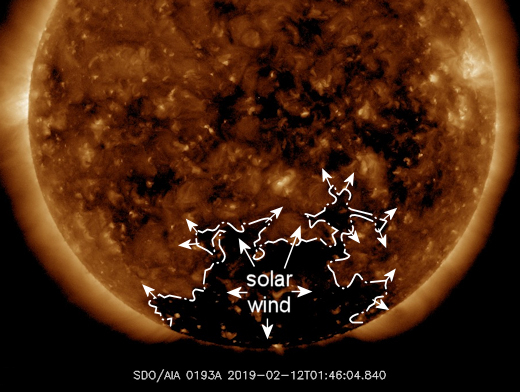 SpaceWeather.com says: "NOAA forecasters say there is a 50% chance of minor G1-class geomagnetic storms on Feb. 27th when a fast-moving stream of solar wind is expected to hit Earth's magnetic field. The gaseous material is flowing from a large hole in the sun's atmosphere, now facing our planet." Solar astronomers have had a treat for the last several days, with prominences galore and a beautiful loop on the lower right limb! The solar wind speed is 323.6 km/sec (↓), with a density of 5.9 protons/cm3 (↑). On Feb. 25, 2019, the NASA All Sky Fireball Network reported 14 fireballs. 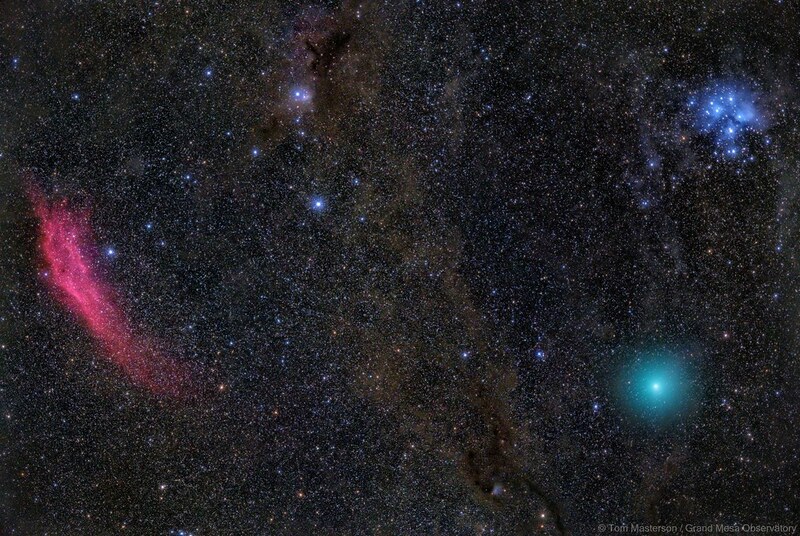 Sweeping through this stunning field of view, #Comet 71P/Clark really is in the foreground of these cosmic clouds. You can spot the small coma and short tail of the comet as a faint smudge near the center of the left edge of the frame. Position of the planets in the inner solar system, Feb. 26, 2019, highlighting the Kepler Space Telescope. Credit: NASA Eyes on the Solar System / Bob Trembley. Position of the planets in the middle solar system, Feb. 26, 2019, highlighting the dwarf planet Ceres. Credit: NASA Eyes on the Solar System / Bob Trembley. Position of the planets in the outer solar system, Feb. 26, 2019, highlighting Halley’s Comet. Credit: NASA Eyes on the Solar System / Bob Trembley. On a moon of ringed gas giant planet within a globular cluster. Credit: Space Engine / Bob Trembley. I mentioned last week that I'm creating several posters for an Astronomy Night event to be held at my wife's school in March; I found this super hi-rez image of the "Big Dipper" region of Ursa Major - I imagine this will look amazing printed 3'x7'! The vernal equinox occurs on March 20, marking the official beginning of spring for the Northern Hemisphere. Our Sun shines equally on the Northern and Southern Hemispheres during the moment of equinox, which is why the March and September equinoxes are the only times of the year when the Earth’s north and south poles are simultaneously lit by sunlight. Exacting astronomers will note that the length of day and night on the equinox are not precisely equal; the date when they are closest to equal depends on your latitude, and may occur a few days earlier or later than the equinox itself. One complicating factor is that the Sun isn't a point light source, but a disc. Its edge is refracted by our atmosphere as it rises and sets, which adds several minutes of light to every day. The Sun doesn't neatly wink on and off at sunrise and sunset like a light bulb, and so there isn't a perfect split of day and night on the equinox - but it’s very close! Position of Mars during March 2019. Credit: Stellarium / Bob Trembley. The morning planets on March 31. Image created with assistance from Stellarium. After a heavy snow, the full Moon put on a stunning show this frigid morning; I was able to see Jupiter out my kitchen window, but Venus and Saturn were obscured by low clouds. As I was shoveling, I thought about how my house blocks the sunlight - which never melts snow off my driveway - while the neighbors across the street have nice clear driveways, baked by the Sun... As tends to happen with me, thoughts wander to something astronomical - this time: permanently shadowed regions on the Moon and Mercury. Last Saturday, my wife and I got to see a fantastic presentation by astronaut Terry Virts about his time on the International Space Station! We got a signed copy of his book: "View from Above." Several planets are in the southeastern predawn sky all week; Venus and Saturn are very close to each other on the morning of Feb. 19th. Venus and Saturn spread apart all week - the change should be noticeable each morning! Conjunction of Venus and Saturn in the southeastern predawn sky over the week of Feb. 19-27, 2019. Credit: Stellarium / Bob Trembley. Mars and Uranus are in the west-southwestern sky before midnight. Mars and Uranus are in the west-southwestern sky before midnight on Feb. 19th. Credit: Stellarium / Bob Trembley. The image from the tweet below is from last week when Mars and Uranus were very close to each other in the sky. On the evening of Feb. 19th, the Moon will be in the constellation Leo, near the star Regulus. The Moon in the eastern sky in the constellation Leo near the star Regulus before midnight on Feb. 19, 2019. Credit: Stellarium / Bob Trembley. The Moon in the northeastern sky in the constellation Leo newr the star Regulus before midnight on Feb. 19, 2019- seen from Beaufort West, South Africa. Credit: Stellarium / Bob Trembley. The waning gibbous Moon will be visible low in the southeastern sky after midnight on Feb. 24th. The Moon low in the southeastern sky after midnight on Feb. 24, 2019. Credit: Stellarium / Bob Trembley. There has been an ongoing discussion/argument among southeastern Michigan astronomers about showing the full Moon to the public; it's BRIGHT and many of the finer details are washed out. BUT, the reactions from the public are typically the same if they are observing the full Moon, or a first-quarter Moon... they just don't care - and I'll take any "Oh WOW!" I can get with my telescope! The full and gibbous Moon also tends to wash out most deep-sky objects. That being said, there are beautiful features on the Moon that cannot be seen during the full Moon - some can only be observed during a single day; the "Straight Wall" can only be seen on day 8 of the Moon's orbit. The Straight Wall. Credit: Bob Trembley, 28 Mar 2015. Taken through the Stargate Observatory's 8" Refractor with my Samsung Galaxy S5 Smartphone. When the Moon is at first quarter, the terminator between sunlit and dark regions is filled with shadows and highlights on craters and mountains; you can watch these features change over the course of several hours. The Astronomical League has a Lunar Observing Program with 100 targets for you to observe during several phases of the Moon. International Observe the Moon Night will be held on Oct. 5, 2019 - you can find clubs hosting observing events on the NASA Night Sky Network. The Moon will be full on Feb. 19th - rising at sunset, high in the sky around midnight, and visible all night. The rest of the week, the Moon will be a waning gibbous - rising after sunset, high in the sky after midnight, and visible to the southwest after sunrise. 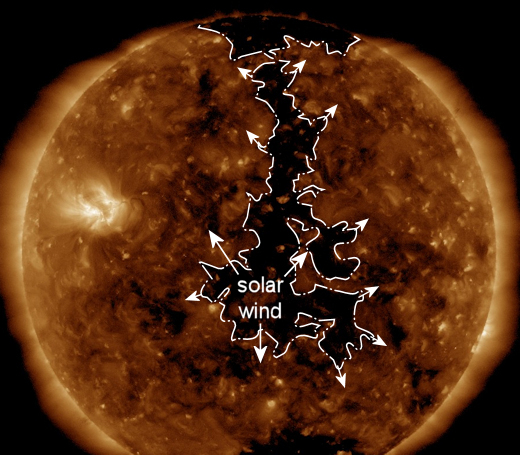 SpaceWeather.com says: "A stream of solar wind is about to hit Earth's magnetic field. Estimated time of arrival: Feb. 20th. The gaseous material is flowing from a trans-equatorial fissure in the sun's atmosphere. Arctic sky watchers can expect minor geomagnetic storms and auroras mixed with bright moonlight when the fast-moving stream arrives." Some small prominences all over the Sun the last couple days - the area of coronal loop activity can be seen in the animation below as the bright orange region. The solar wind speed is 329.2 km/sec (↓), with a density of 2.2 protons/cm3 (↓). On Feb. 18, 2019, the NASA All Sky Fireball Network reported 10 fireballs. Position of the planets in the inner solar system, Feb. 19, 2019, highlighting STEREO Behind. Credit: NASA Eyes on the Solar System / Bob Trembley. Position of the planets in the middle solar system, Feb. 19, 2019, highlighting comet 67P/Churyumov-Gerasimenko. Credit: NASA Eyes on the Solar System / Bob Trembley. Position of the planets in the outer solar system, Feb. 19, 2019, highlighting 2007 OR10. Credit: NASA Eyes on the Solar System / Bob Trembley. I've seen a LOT of calls for Ice Giant orbiter missions on Twitter in recent weeks - I couldn't agree more! On an icy Moon of gas giant planet within the Orion Nebula. Credit: Space Engine / Bob Trembley. Tightly Wound Arms of Dust Encircle Nucleus of Galaxy NGC 2787. Credit: NASA and The Hubble Heritage Team (STScI/AURA). The historic Opportunity Mars rover mission has come to an end. Opportunity last communicated with Earth on June 10, 2018 after a planet-wide dust storm covered the rover's solar panels, denying power to the rover. 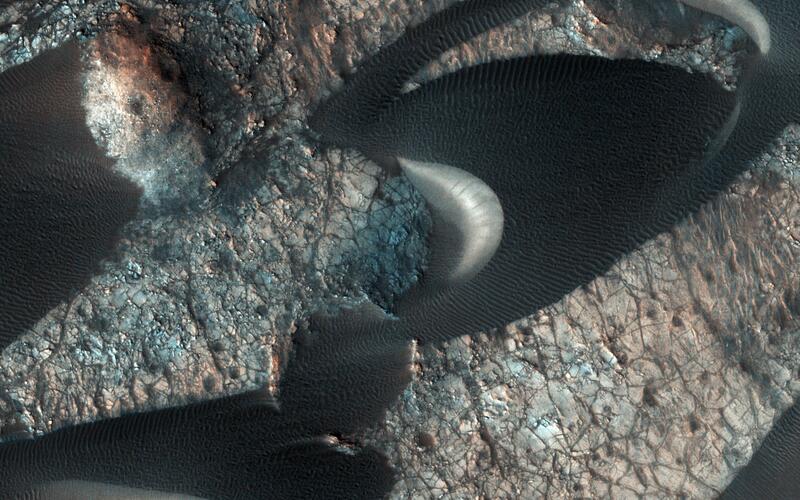 Spirit and Opportunity landed on Mars in 2004 - in quite spectacular fashion! Spirit and Opportunity were designed for a 90-day mission; Opportunity lasted for over 14 years! I don't want to say that NASA/JPL engineers OVER-engineered those rovers... let's say they SUPREMELY engineered them! I always loved visiting the Earth model of @marsrovers every chance I could get. It used to be called "SSTB" (surface system testbed) but is now called "Dusty." #ThanksOppy and #ThanksDusty for your service. And darkness looms left and right. This week, I'm in Tucson, AZ helping with the Vatican Observatory Foundation's 2019 Faith and Astronomy Workshop (#FAWVOF). It's startling to see how high the waxing gibbous Moon is, and how low Ursa Major is in the sky compared to where I see them in Michigan! Ursa Major and Ursa Minor (the Big and Little Dippers) are low in the northern sky at midnight. Ursa Major and Ursa Minor low in the northern sky at midnight. Credit: Stellarium / Bob Trembley. The conjunction of Jupiter, Venus and the star Antares continues in the southeastern predawn sky all week; I got to see this as I was walking across the facility to the kitchen to get a cup of coffee - Venus was brilliant! Saturn also makes its return to the early morning sky. Predawn conjunction of Jupiter, Venus and Antares. Credit: Stellarium / Bob Trembley. Waxing gibbous Moon high in the southern sky after sunset. Credit: Stellarium / Bob Trembley. 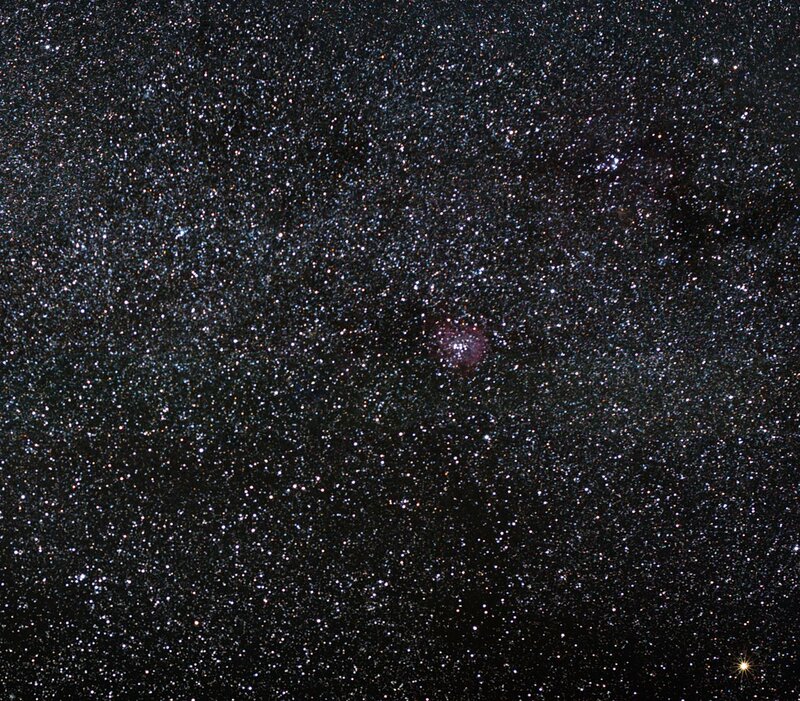 In Tucson, the star Deneb appears in the western sky after sunset where the stars Altair and Vega appear from Michigan. Altair and Vega are much lower in the western sky at dusk than in Michigan. Credit: Stellarium / Bob Trembley. 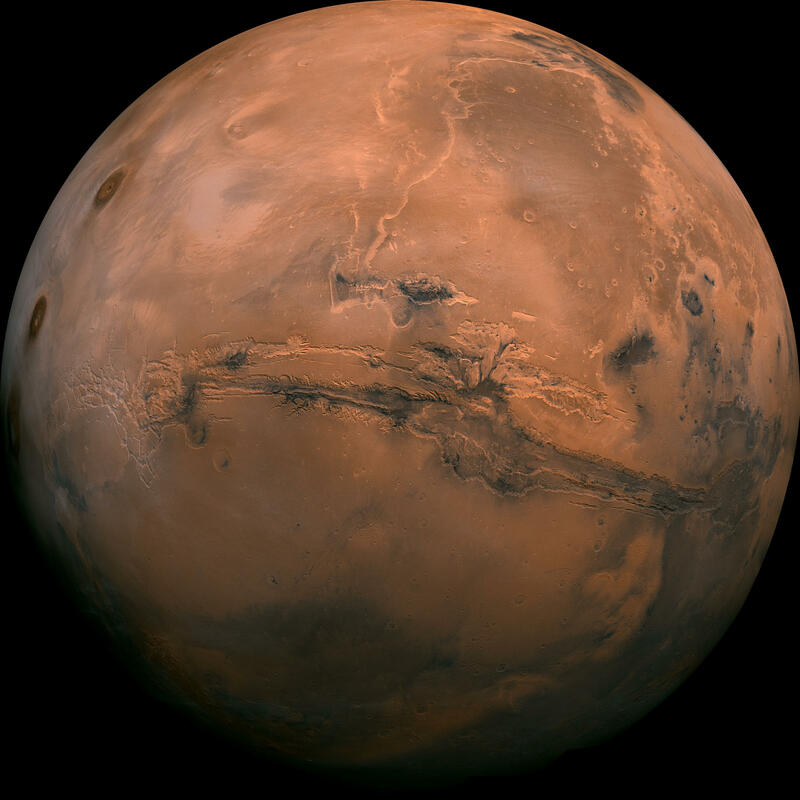 Mars appears higher in the southwestern sky after sunset than in Michigan. Mars high in the southwestern sky after sunset - Jan. 15, 2019. Credit: Stellarium / Bob Trembley. The Moon will pass through the shadow of the Earth on the evening of Jan. 20th, and millions in North and South America will be able to see it, as well as residents in England and northern Europe. Back in Michigan, the Warren Astronomical Society will be hosting a viewing party at their Stargate Observatory, and will also be helping out at the Cranbrook Institute of Science. Cranbrook has 3000+ RSVPs for their event, and you can bet other observatories and museums across the Americas will see similar turnouts. The Moon is a waxing gibbous - just past first quarter - it will be visible in the southeast in early evening, and up for most of the night. The Moon will be full on the 20th, with a bonus eclipse (see above). The full Moon rises at sunset, and appears high in the sky around midnight, and is visible all night.After the 20th, the Moon will be a waning gibbous, rising after sunset, appearing high in the sky after midnight, and visible to the southwest after sunrise. The Moon from Jan. 15-21, 2019. Visualizations by Ernie Wright. 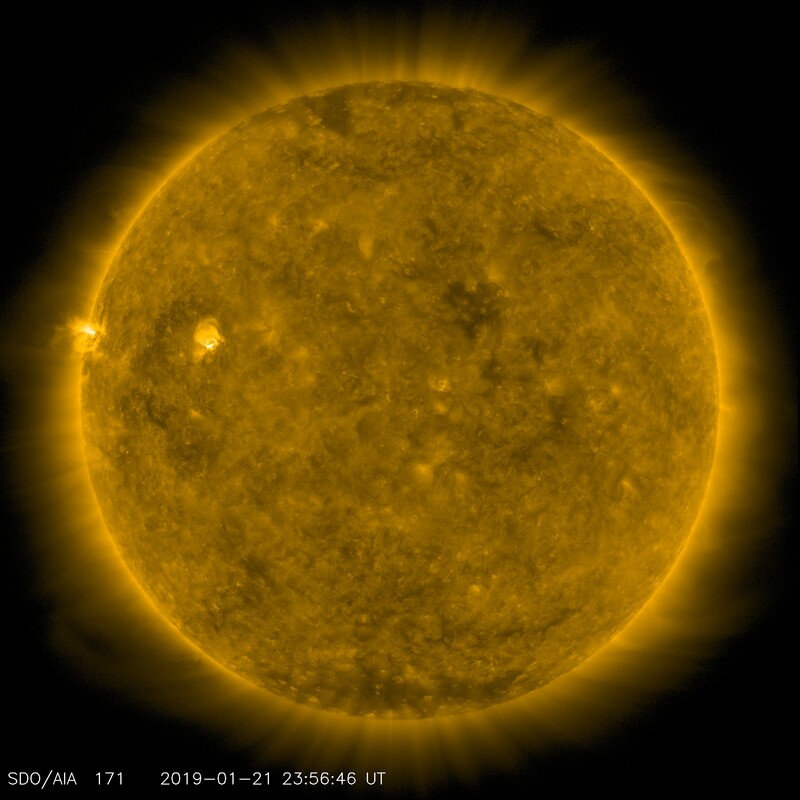 The Sun has been spotless for 8 days. The northern coronal hole seems to have shrunk a little, while the southern hole seems to have expanded a little. There is a large coronal hole near the equator rotating into view. Several long-lasting prominences appeared all over the limb of the Sun the last few days - crack out your solar telescope, if you have one! The solar wind speed is 356.9 km/sec (↓), with a density of 4.5 protons/cm3 (↓). Asteroid 6478 Gault sprouts a tail! Last week, astronomers working with the ATLAS project in Hawaii announced an astonishing change to asteroid 6478 Gault. The space rock had sprouted a tail. It is now gliding through the asteroid belt giving every appearance of being a comet. On Jan. 9th, Damian Peach of Selsey UK photographed the 6478 Gault and its 400,000 kilometer-long tail. On Jan. 14, 2019, the NASA All Sky Fireball Network reported 3 fireballs. The NASA All-sky Fireball Network is a network of cameras set up by the NASA Meteoroid Environment Office (MEO) with the goal of observing meteors brighter than the planet Venus, which are called fireballs. If you would be interested in helping by setting up an All-Sky Fireball Network camera at your site, contact Dr. Bill Cooke. Nice #fireball caught over #Tucson #Arizona this morning. OH LOOK! A comet other than 46P/Wirtanen! I looked up comet C/2018 Y1 on the JPL Small Body Database Browser - it's aphelion is WAY out in the Kuiper belt! Comet C-2018 Y1 (Iwamoto). Credit: JPL Small Body Database Browser. Comet C-2018 Y1 (Iwamoto) close-up Credit: JPL Small Body Database Browser. Position of the planets in the inner solar system, Jan. 15, 2019. Credit: NASA Eyes on the Solar System / Bob Trembley. The Parker Solar Probe will reach perihelion on Saturday Jan. 19th. Parker Solar Probe Perihelion 1 - Jan. 19, 2019. Credit: NASA Eyes on the Solar System / Bob Trembley. MarCO A and B continue to increase their distance from Mars after the InSight landing in November. Mars pulling ahead of MarCO A and B. Credit: NASA Eyes on the Solar System / Bob Trembley. Position of the planets in the middle solar system, Jan. 15, 2019. Credit: NASA Eyes on the Solar System / Bob Trembley. Position of the planets in the outer solar system, Jan. 15, 2019. Credit: NASA Eyes on the Solar System / Bob Trembley. Hubble Space Telescope - In Trouble Again! The other day, I had lunch with Br. Guy and several people from the Planetary Science Institute - including a member of the OSIRIS-REx mission team. I could have listened to her for HOURS! 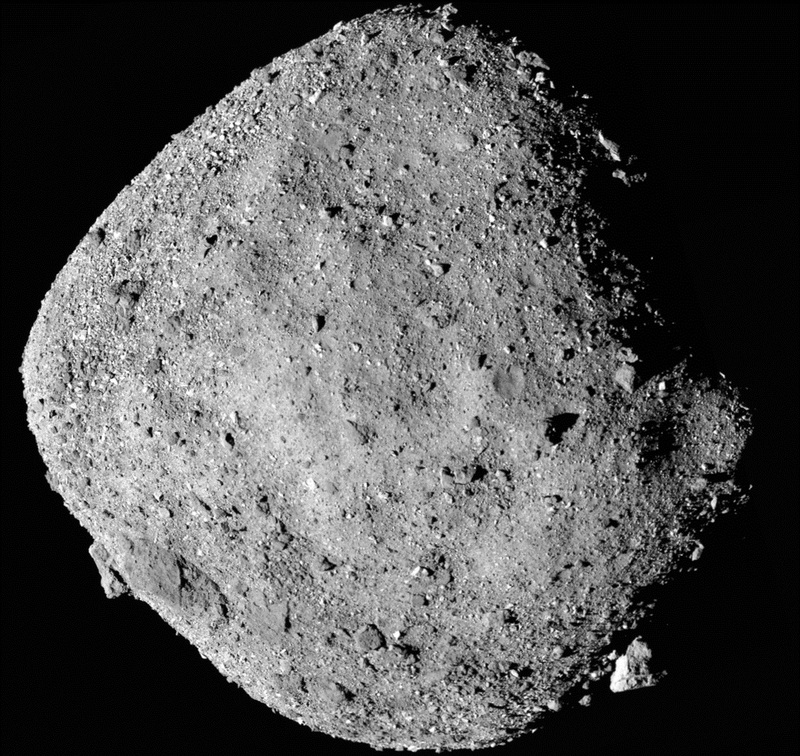 She said that new HI-REZ images of asteroid Bennu will be released by the end of the month - I can't wait! In the category of "Weird events from halfway across the Universe," Canadian astronomers detect a "Repeating Fast Radio Burst." What would a Fast Radio Burst sound like? Here's an illustration of a (simulated) CHIME FRB. I took our 400-to-800 *Mega*Hertz range and converted it to audible 400-to-800 Hertz. A thin crescent Moon will appear low in the southwestern sky at dusk on Jan. 8th. A thin crescent Moon appears low in the southwestern sky at dusk on Jan. 8, 2019. Credit: Stellarium / Bob Trembley. There will be a conjunction of Jupiter, Venus and the star Antares in the southeastern predawn sky all week - each morning, Venus will appear to creep slowly closer to Jupiter. Jupiter, Venus and Antares in the southeastern predawn sky – Jan. 14, 2019. Credit: Stellarium / Bob Trembley. Jupiter, Venus and Antares in the southeastern predawn sky – Jan. 9, 2019. Credit: Stellarium / Bob Trembley. Mars remains high in southwestern sky after sunset all week; the Moon will appear near Mars on Jan. 12th. Mars high in the southwestern sky after sunset – Jan. 1, 2019. Credit: Stellarium / Bob Trembley. The Moon appears near Mars on Jan. 12, 2019. Credit: Stellarium / Bob Trembley. M51 is an interacting grand-design spiral galaxy with an active galactic nucleus. The galaxy is in the constellation Canes Venatici, and was the first galaxy to be classified as a spiral galaxy. 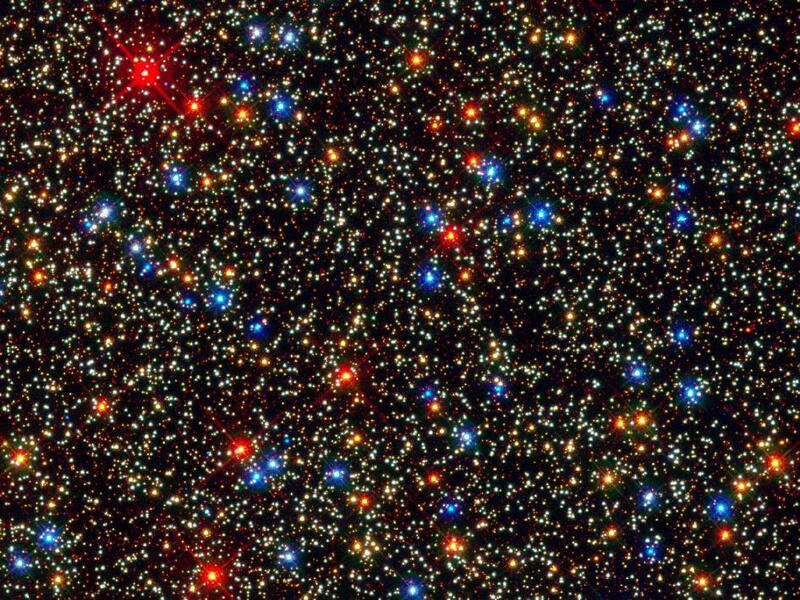 Its distance is estimated to be between 15 - 35 million light-years. 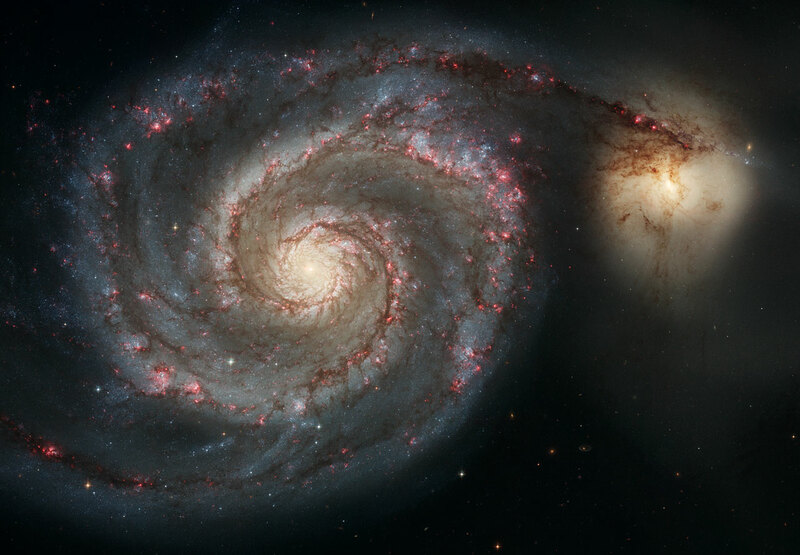 The Whirlpool's most striking feature is its two curving arms, a hallmark of so-called grand-design spiral galaxies. Many spiral galaxies possess numerous, loosely shaped arms that make their spiral structure less pronounced. These arms serve an important purpose in spiral galaxies. They are star-formation factories, compressing hydrogen gas and creating clusters of new stars. In the Whirlpool, the assembly line begins with the dark clouds of gas on the inner edge, then moves to bright pink star-forming regions, and ends with the brilliant blue star clusters along the outer edge. The Moon is a waxing crescent, visible toward the southwest in early evening. The Moon will be at first quarter on Jan 14th, visible high in the southern sky in early evening. The Moon from Jan. 8-14, 2019. Visualizations by Ernie Wright. The Moon will be an excellent observing target for the next couple weeks! The Sun has a small spot that is rotating out of view; the spot has been blowing off B-class and one C-class solar flares. 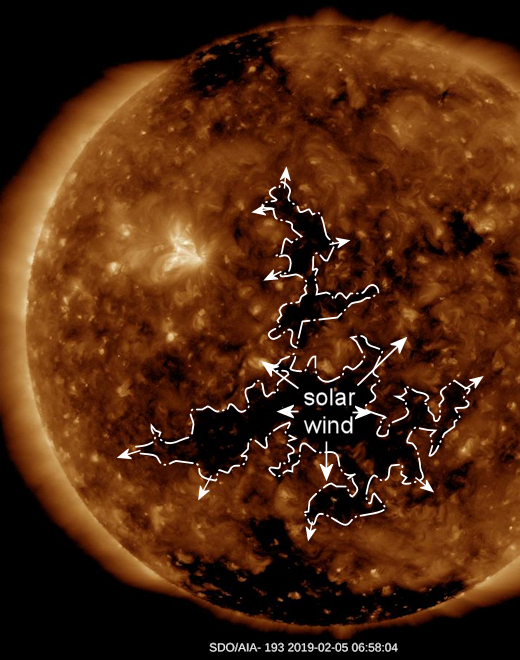 The large coronal hole at the northern pole has a couple islands and a tendril reaching southward. The southern coronal hole appears to have opened back up. SpaceWeather.com says "Over the weekend, a high-speed stream of solar wind buffeted Earth's magnetic field, sparking big green auroras around the Arctic Circle. Last night in Utsjoki, Finland, Tiina Salonen of Aurora Holidays noticed something extra--a fringe of pink." Another beautiful, long-lasting, and large prominence can be seen in the lower-left side of the video below! The solar wind speed is 453.7 km/sec (↑), with a density of 8.6 protons/cm3 (↑). On Jan. 6, 2019, the NASA All Sky Fireball Network reported 17 fireballs. Comet Wirtanen was photographed in the sky beyond an old abandoned church in Skagen, Denmark. Position of the planets in the inner solar system, Jan. 8, 2019. Credit: NASA Eyes on the Solar System / Bob Trembley. The Parker Solar Probe will be at perihelion on Jan 19, 2019 at 8:00 PM ET - the spacecraft will be 86,769,621.0 miles from the Sun, traveling at 37,712 mph. Position of the planets in the middle solar system, Jan. 8, 2019. Credit: NASA Eyes on the Solar System / Bob Trembley. No change for last 2 weeks - most likely due to the U.S. government being shutdown. 2018 was NASA's 60th Anniversary! In a week extraordinarily filled with space exploration milestones, China has landed a probe softly on far side of the Moon! The China National Space Administration announced that the probe landed on Jan. 3, 2019 at 10:26 a.m. Beijing Time. BEIJING, Jan. 3 (Xinhua) -- China's Chang'e-4 probe touched down on the far side of the moon Thursday, becoming the first spacecraft soft-landing on the moon's uncharted side never visible from Earth. Direct communications with Earth are impossible on the far side of the Moon, since transmissions are blocked by the Moon itself. Communications must go through a communications relay satellite, which is placed at a location that has a clear view of both the landing side and the Earth. On 20 May 2018, CNSA launched the Queqiao (Chinese: 鹊桥; pinyin: Quèqiáo, meaning "Magpie Bridge") relay satellite to a halo orbit around the Earth–Moon L2 point. 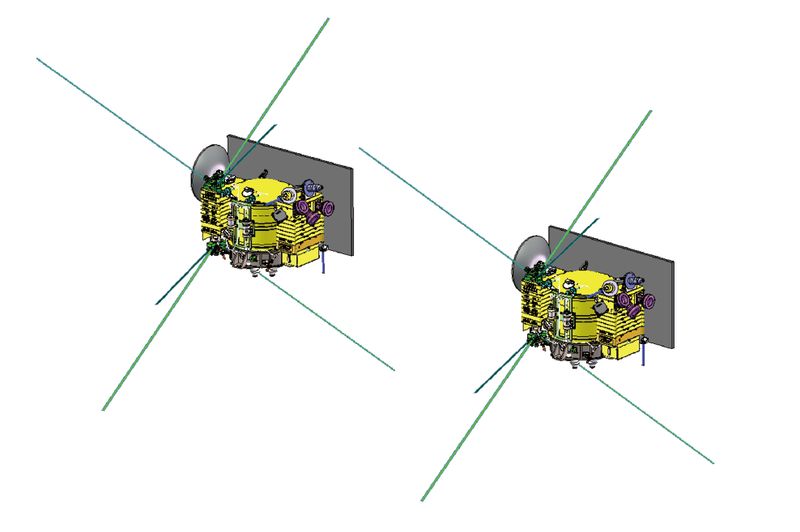 The relay satellite has a mass of 425 kg (937 lb), and it uses a 4.2 m (14 ft) antenna to receive X band signals from the lander and rover, and relay them to Earth control on the S band. The spacecraft took 24 days to reach L2, using a lunar swing-by to save fuel. On 14 June 2018, Queqiao finished its final adjustment burn and entered the L2 halo mission orbit, which is about 65,000 kilometers from the Moon. This is the first lunar relay satellite at this location. As part of the Chang'e 4 mission, two microsatellites (45 kg (99 lb) each) named Longjiang-1 and Longjiang-2 (Chinese for "Dragon River"), were launched along with Queqiao in May 2018. 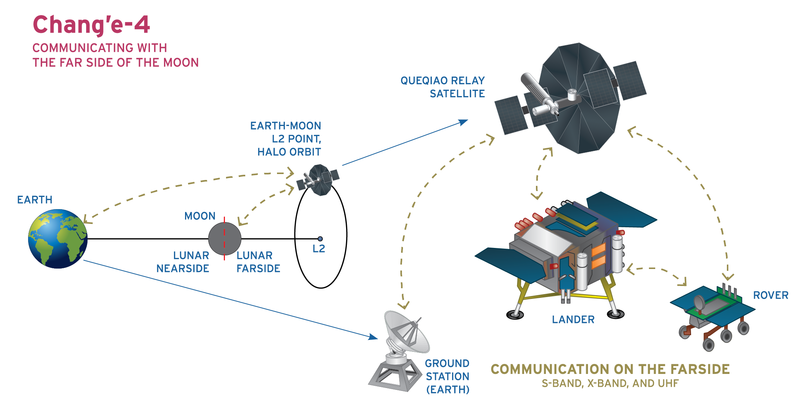 However, Longjiang-1 failed to enter lunar orbit, while Longjiang-2 succeeded and is currently operational in lunar orbit. These microsatellites were tasked to observe the sky at very low frequencies (1-30 MHz), corresponding to wavelengths of 300 m to 10 m, with the aim of studying energetic phenomena from celestial sources. Due to the Earth's ionosphere, no observations in this frequency range have been done in Earth orbit, offering potential breakthrough science. As is the case with many of China's space missions, the details of the spacecraft and the mission in general have been limited. What is known is that much of the Chang'e 4 lander and rover design is modeled after Chang'e-3 and its Yutu rover. In fact, Chang'e 4 was built as a backup to Chang'e 3, but has been adapted to the specifics of the new mission. The lander and rover were launched six months after the launch of the Queqiao relay satellite, on 7 December 2018, 18:23 UTC. The total landing mass is 1,200 kg (2,600 lb). After landing, the lander will extend a ramp to deploy the rover to the lunar surface. The rover measures 1.5 × 1.0 × 1.0 m (4.9 × 3.3 × 3.3 ft) and has a mass of 140 kg (310 lb). The rover was fabricated at Dongguan, Guangdong province, is solar-powered, and it is propelled by six wheels. The rover's nominal operating time is three months, but after the experience with Yutu rover in 2013, the rover design was improved and Chinese engineers are hopeful it will operate for "a few years".